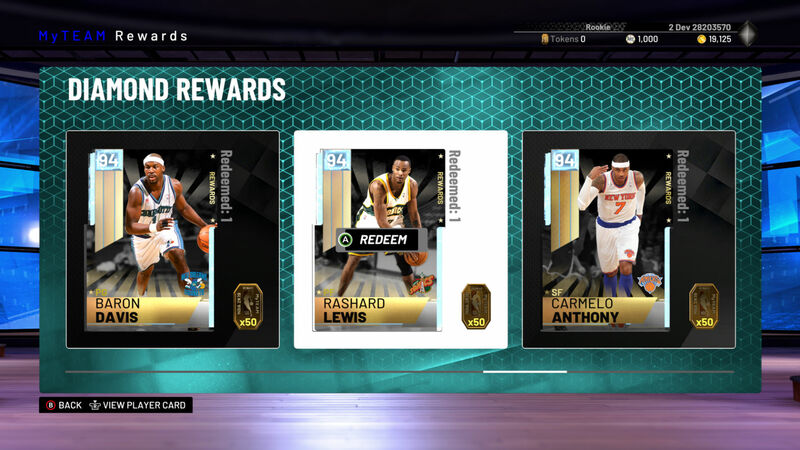 After widely-publicised moves by Belgian and Dutch authorities to bring loot boxes and similar mechanics under the countries’ strict gambling laws, we’re starting to see an effect: Take Two Interactive have altered the MyTeam mode of NBA 2K for those regions, removing the ability to spend real money on randomised card packs. In the NBA 2K series, MyTeam is a mode in which players try to build the ultimate team by collecting cards based on both current and former NBA players, before taking those teams online to duke it out with one another. Needless to say, getting good cards is vital to building a strong team, and the primary source of cards is randomised packs bought with either slow-earned in-game currency or a premium currency that costs real money. As such, spending either a lot of time or a lot of money becomes necessary. The Belgium Gaming Commission (BGC) has stated that games which include certain ‘loot box’ style mechanics violate gambling laws in Belgium. While we disagree with this position, we are working to comply with the BGC’s current interpretation of these laws. As a result, we have made some local changes to the MyTeam mode. These changes are necessary in order for us to accommodate the BGC’s interpretation of the Belgian Gaming Act. Specifically, we will be turning off the ability to purchase packs with premium (non-earned) currency/VC.Gamers are still able to acquire packs with MyTeam points. The publisher went on to say that it “will be continuing conversations with the BGC in order to explain our view on how NBA 2K and MyTeam pack purchases already comply with local laws”, and encouraged players to raise any concerns about the loss of this “feature” with government officials. For my part, I can’t see this as anything other than good news. Loot boxes are inherently predatory, being built on the same psychological tricks that drive slot machines and other forms of gambling. Many players can gamble responsibly, and that’s fine for them, but there are always going to be those who can’t—gambling addiction is a very real problem that ruins lives, and its every bit as harmful when its delivered through a video game. That’s what publishers like Take Two rely on, and what they champion when they celebrate obscene rates of “recurrent spending” in their financial reports. There’s still more to be done. Even without the option to spend money, game loops built around the grind for loot boxes tend to drive compulsive, addictive behaviour. Things like daily quests, login bonuses, and time-limited events are all designed to make playing the game a habit—because even without microtransactions, the more time players spend in the game, the better the returns for publishers. Until these are also brought under control, this whole “games-as-a-service” model is going to continue to cause harm. Still, eliminating the microtransaction element is a good first step. Here’s hoping it catches on across the rest of the world.